It’s finally cool enough to switch out my footwear for the fall/winter weather we are having here in Los Angeles. LA is always late to receive it’s winter weather and I couldn’t be more excited to switch to a comfortable warm shoe. 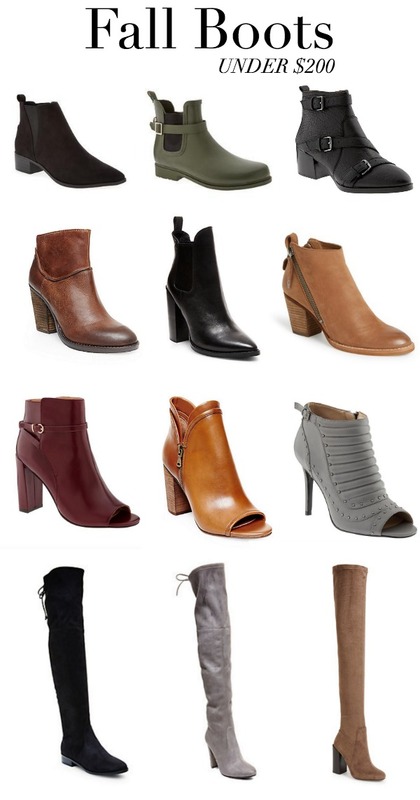 Boots/booties are some of my favorite pairs of footwear that I love to wear and since boots can get expensive, and if you’re like me you probably want more than one pair, I found some great fall style boots for under $200! I’m in love with these over the knee boots, they are such a chic choice that you can wear with dresses or leggings and an oversized sweater. Also, these peep toe booties are so beautiful and would be great to pair with leggings are a leather mini skirt. Are you a boot girl? Which style have you been wearing most this season? Make sure to click on the images below to shop. © 2013 La Moda by Andriana Olivares. All rights reserved.